Move over Barossa. With produce to rival any top wine region, Quentin Long finds McLaren Vale is the new place to live the good life in South Australia. 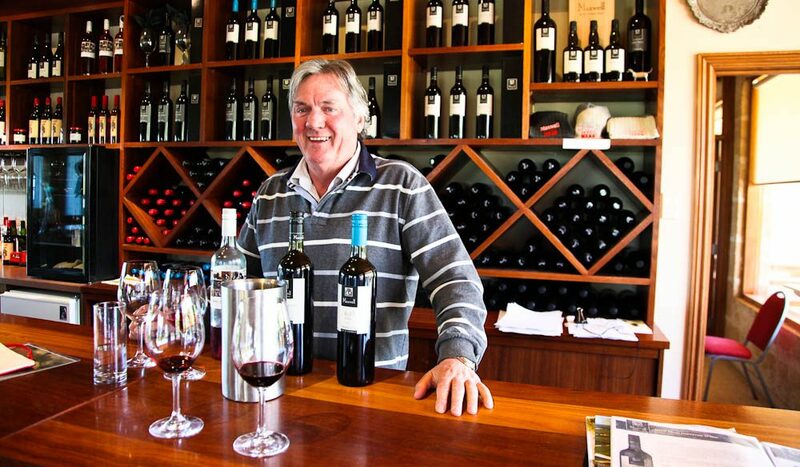 Wine in McLaren Vale is the easy answer, but there is a little more to the Vale than just great drinks. As you would expect, the food is pretty hard to beat, and bountiful. The beaches are also amazing – that’s a winning combination. Did I mention the wine? Yep, McLaren Vale rivals the Barossa for the quality of its reds; shiraz in particular. But it’s not quite as big and also has the beach locations. 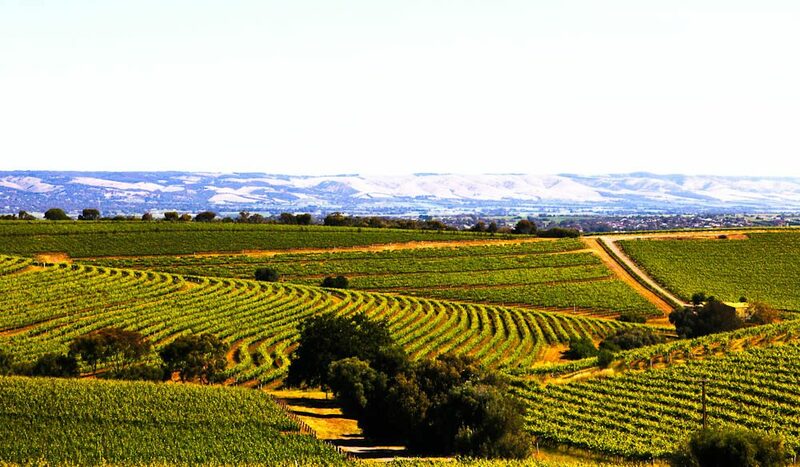 McLaren Vale is a region and a town, however its little sister Willunga is actually the more beautiful town of the two. As always there is fierce rivalry in one direction – little sis’ feels a little under-appreciated. Let’s do the wine thing last, just because that’s the easy bit. The Willunga Farmers Markets are non-negotiable. 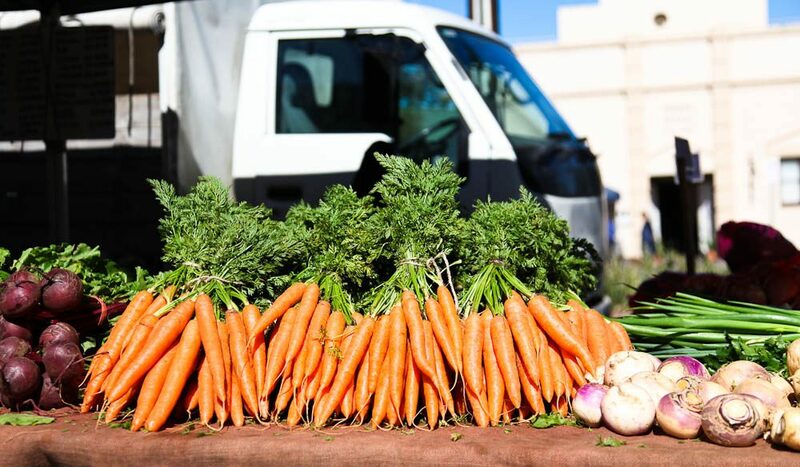 Held every Saturday they attract a huge number of local growers, all with a tale about the beets, the carrots, the cheese and even the meat. It’s local providore shopping at its best. 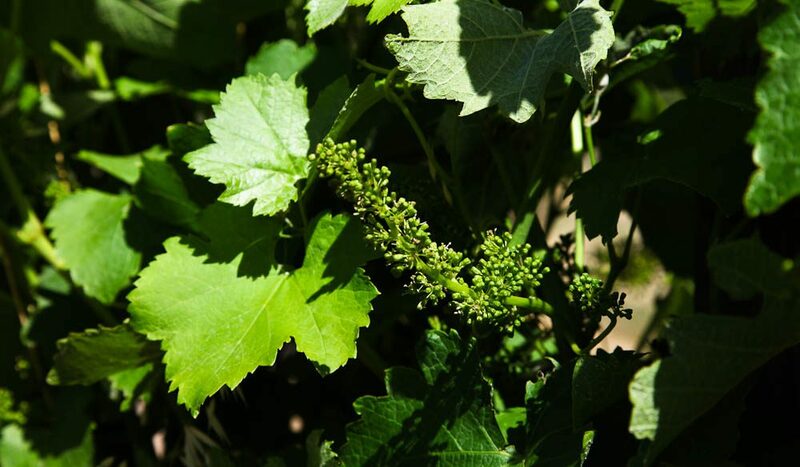 Speaking of providores, before you leave for the Vale contact David Arbon at the Producers of McLaren Vale and book in for a class – I recommend the cheese making. David’s set-up amongst his own vines is picturesque and the kitchen professional and roomy. Making mozzarella, haloumi and ricotta is simple and fun. If you are lucky enough, David will let you try the only McLaren Vale-produced riesling. The cooking facilities are in fact right next to the only riesling vines in the valley. And of course there is lunch every Saturday and Sunday at the Producers’ Table. The other parts of the beach are pretty spectacular, and one could argue more picturesque. The plethora of places to sample wine are quite literally overwhelming, but here are some recommended places you’re guaranteed to have a great and interesting tasting. Top of the pops has to be Samuel’s Gorge. Not only is the setting damn spectacular overlooking a gorge from an old barn but the wines are, in this writer’s humble opinion, the best in the Vale for quality and price. Tasting on the verandah with wine maker Justin McNamee is hard to beat. If you can, book a tasting with unusual and thoughtful winemaker Paul Petagna of Petagna Wines (0439 861 969) – it’s worth it. Naming his top wines Dio (God) and Diavola (Devil), he’s as uncorporate as you can get – a true expression of the vintage and the winemaker. Primo Estate is one of the most refined cellar doors with wines and olive oils to match. While paying $15 for a Joseph Experience wine tasting seems a little steep, it is worth it. The fee gets you nibbles, bread and the primo quality Joseph Extra Virgin Olive Oil, plus seriously good wine to taste (and more than a tasting splash). Alpha Box & Dice (50 Oliver’s Road) is like Suggs (lead singer of ‘80s scar band Madness for the youngsters) was let loose on a winery. The black and white theme of the cellar door and chaotic charity shop décor is all in line with a brand that is ignoring the accepted norms. Not to my taste, but I think for some it’s a winner and the hipster staff are always fun. For other hipsters. Special mention for the low-key and quiet achiever of the Vale, Maxwell Wines. They not only produce some terrific wines (my personal favourite the Ellen Street Shiraz) but to really mix it up, Maxwell’s are the southern hemisphere’s largest producer of mead, the fermented honey drink also known through the ages as Ambrosia. It’s a refreshing change and helps combat ‘Big Aussie Red’ fatigue. And whilst we’re discussing the non-wine alcoholic beverages, drop in on South Australia’s Champion Brewery (remember, SA is the home of Coopers Beer so it’s no mean feat), Goodieson Brewery. I wonder if you will taste banana notes (I kid you not) from their award winning Wheat Beer too? 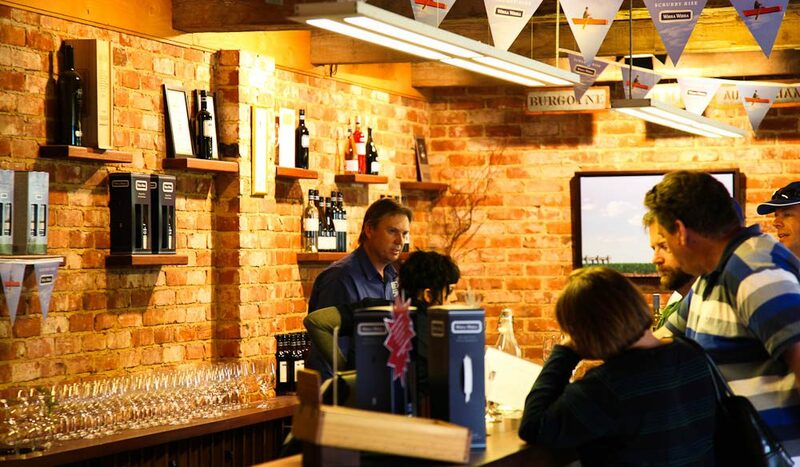 There are loads more wineries that are huge and well known; Coriole has a beautiful cellar door and Wirra Wirra (McMurtrie Road, McLaren Vale) is well established but perhaps not as boutique as a weekend amongst the vines should be. Before Vale lovers hop onto the email to vent their spleen at my idiocy, d’Arenberg is a fantastic cellar door but to limit boredom I have put it in the ‘where to eat’ section. 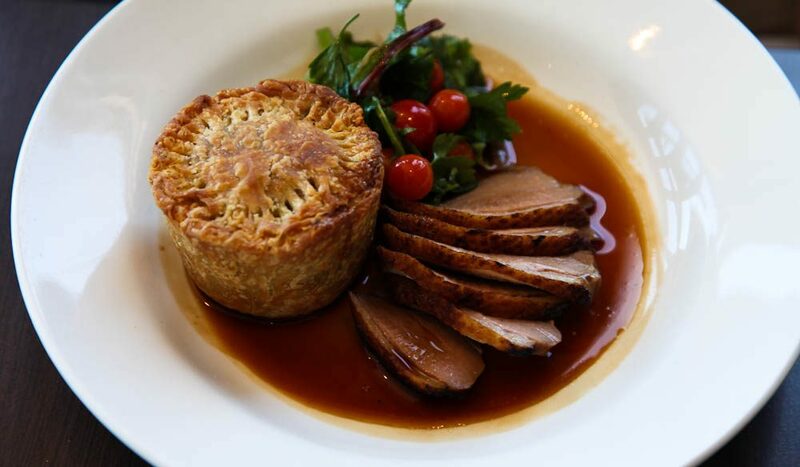 There are a huge number of places to eat in the Vale – a mix of cellar door restaurants and fine dining establishments. The legendary Star of Greece is back to its former glory after new owner Doug Govan (also owner of the Victory Hotel, see over) and partner put a troubled year behind them. The dining experience is unique and should be on everyone’s bucket list for one of the greatest Australian experiences. A tiny converted boat shed makes a cosy white weatherboard restaurant with a stunning view of the beach. The food matches the millieu, rustic chic. There are only four entrees ($17.50-19.50) and five mains ($28-35), and the food is actually not Greek (the name comes from an 1888 shipwreck off Port Willunga), but modern. I had the butter poached flathead with brandade, carrot puree, squid ink, whitebait and a saffron emulsion, which was amazing. Like all Doug Govan’s places, the wine list is outrageously reasonably priced – like a dangerously easy-to-drink $15 glass of Pol Roger Brut. D’arry’s at d’arenberg has been the undisputed King of the Vale for quite some time and continues to enthrall for its magnificent degustation at $95. The verandah restaurant has a vista as stunning as the Star, except the white sandy beaches are replaced by green vines and valleys. For smart casual fine dining (oxymoron intended), find Fino and enjoy a tapas-style meal. Think relaxed, ‘cover the table in breadcrumbs’ picking at small plates ($16-22) or large plates ($36-48). Fino has won every possible award for an eatery in the state, most recently the 2013 Best Regional SA Restaurant from Gourmet Traveller. The menu is made up of inventive cuisine like the golden beetroot, orange and shaved fennel salad. Pocket dynamo, Sharon Romeo, runs the floor so efficiently she could model for the Energizer Bunny. Doug Govan’s other outlet in the Vale, the Victory Hotel is equally as famous as The Star. 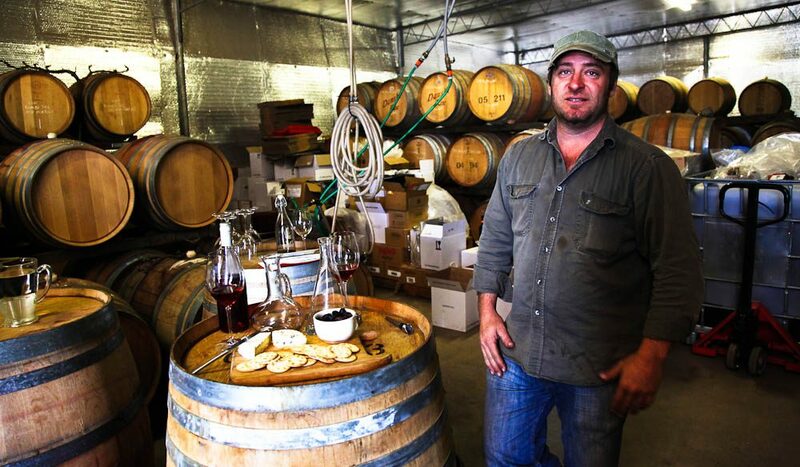 On top of the hill overlooking Sellick’s Beach, it serves good gastropub food but the real highlight is his cellar. Simply put, Doug’s million dollar cellar is there for you to pick and choose from and, as at The Star, it’s all at amazingly affordable prices. The best of an Australian wine cellar is only superseded by his Burgundy Club room which houses an amazing collection of French masterpieces. Pick out something interesting and head back upstairs for your up-market pub meal with another speccie view. One of the great Vale local institutions is Russell’s Pizza (13 High Street, Willunga; 08 8556 2571). The old cottage from two centuries ago is built for smaller people but the cramped old building adds that all important authenticity to an awesome wood-fired pizza. Pick from the simple chalkboard menu and wait for great food to arrive. Raid your cellar door purchases for a nice big red (Dio is my recommendation) as it’s BYO. Actually, bring two bottles to make the night last as the back shed usually gets cleared out for some overindulged dancing and frivolity while the night wears on. Lunch at the Red Poles is fine dining food in a French provincial alfresco atmosphere. The chef, Chris Chilvers, is only 26 and giving everything a red-hot go. Surprises like steak tartare, potato crisp, cured tuna and wild fennel ($20) are beautifully crafted. 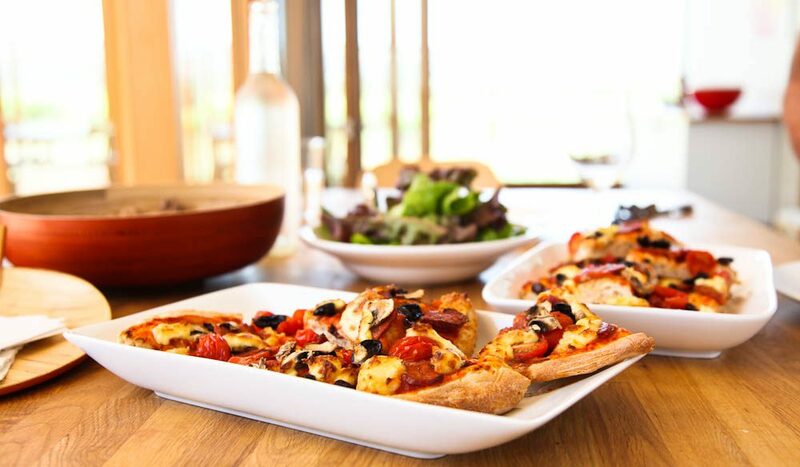 For a casual dinner in McLaren Vale, dine at The Barn Bistro. A beautiful courtyard that is very dreamy at night with sparkly fairy lights. The food, like my hand-cut pasta with smoked trout, caperberries and white wine cream sauce, is reasonable and relaxed. 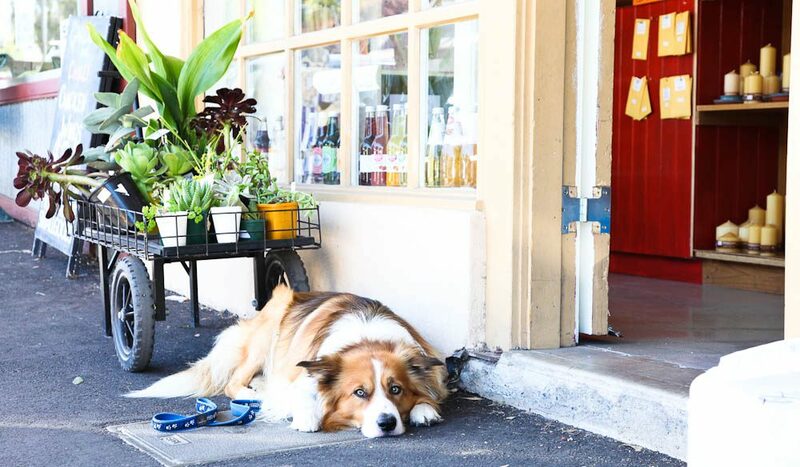 The best places for breakfast have to be along High Street in Willunga. 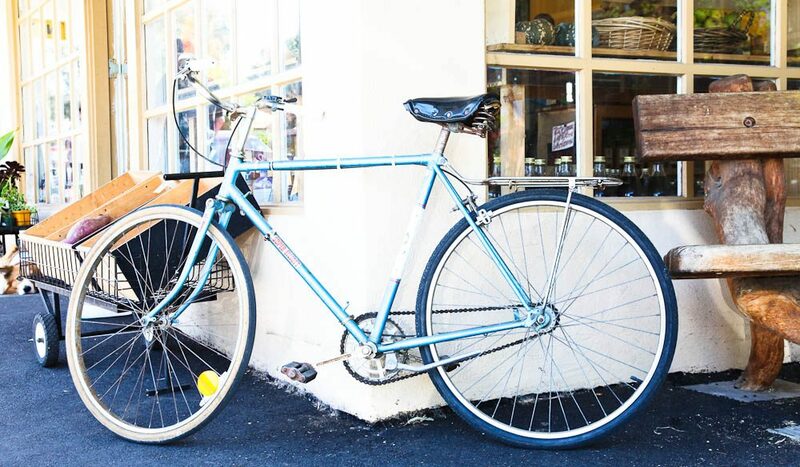 There are a shed load of cafes from the very deli style 3Three Monkeys Fine Food, to the organic Green Room (08 8556 4994) and retro Tango Turtle Café. Really, in a wine growing region? Instead of ‘where to drink’, why not try a ‘how to drink’? Book a wine tour where you can swallow (and not spit). Wine Diva Tours (0488 946 363; ) are a good bet and can get you access to very interesting things not ordinarily open, like Petagna Wines. 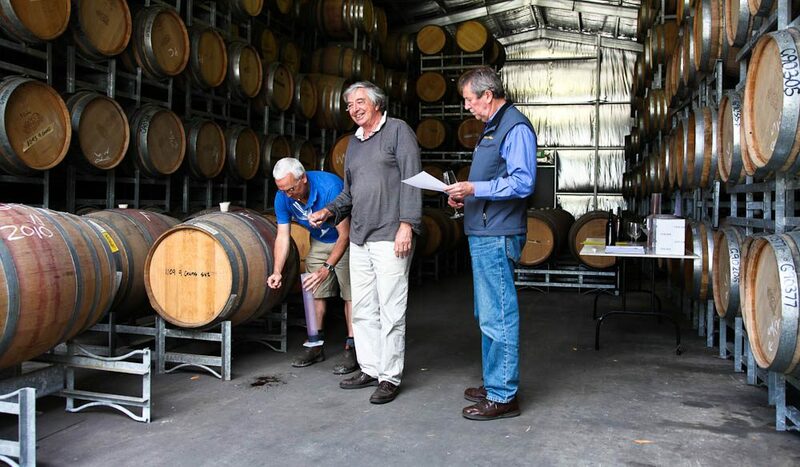 Or contact winemaker Phil Christiansen, who has his own mailing-list-only label, Longwood. Like most wine growing regions, there are cottages and B&Bs up the wazoo here. Greg and Dee Linton (of the Wine Diva tours fame) have two cottages – The Marlene and The Moscato – not far from the main road of McLaren Vale. The Marlene is a stand alone two-bedroom log chalet perfect for multiple couples, whereas the trés romantic Moscato cottage, which is a little more sophisticated in décor. The very pleasant and modern McLaren Vale Studio Apartments are a great set-up on McLaren Vale’s main thoroughfare. Each of the one-bed apartments is sponsored by a local winery so you get a free bottle of booze when you check in. The real highlight is the huge flat screen with two huge and comfy lazy boys positioned for maximum TV pleasure. The Vintage B&B , just out of McLaren Vale, is like a Laura Ashley interiors magazine, but doiley-free. The Spa Room ($225 per night mid-week) is popular with wedding couples; a four poster bed with billowing canopy and excessively snugly couches in front of a fireplace will do that. The Library Suite ($225 per night mid-week) probably has a better bathtub than the spa suite – claw footed and free standing – but a little less roomy. Via the world’s craziest motorway. The one-way Southern Freeway from Adelaide only takes about 30 minutes from the airport or 45 if the freeway is running against you. That’s right, in the morning it runs into Adelaide and in the evening it runs out of Adelaide.